The service system is the basic abstraction of Service Science. 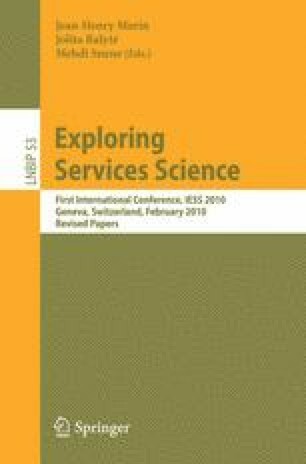 This paper proposes the Resource-Service-System model as a conceptual model of service systems interacting in service exchanges, assuming a service-dominant logic economic worldview. The paper explains how the model was developed starting from the Resource-Event-Agent business model ontology, taking into account insights gained from studying Service Science literature and existing service ontologies. The paper also explains how different model views can contribute to study various aspects of service systems and exchanges.